The blogger collaboration continues, where 6 bloggers across the US, create a weekly look around a fall trend. This week we each styled "pastels", a revolutionary trend- no, but for Fall it's absolutely a new concept, one which I happen to love! I of course started with my favorite coat at the moment... a pastel pink boucle from Zara and had to add some sparkle! While pastels are typically a spring trend, they currently are having a moment this season, which is a nice change to the blacks, grays, and navy's usually gracing the streets during the colder months. When bundled up with either fur as Olivia and Kileen did, boots/booties like Christine and Sydney, or covered with a coat as Christine and I did, the trend works well as we head into Winter, complimenting the colder, blue-tinted daylight, and in some regions even snow. 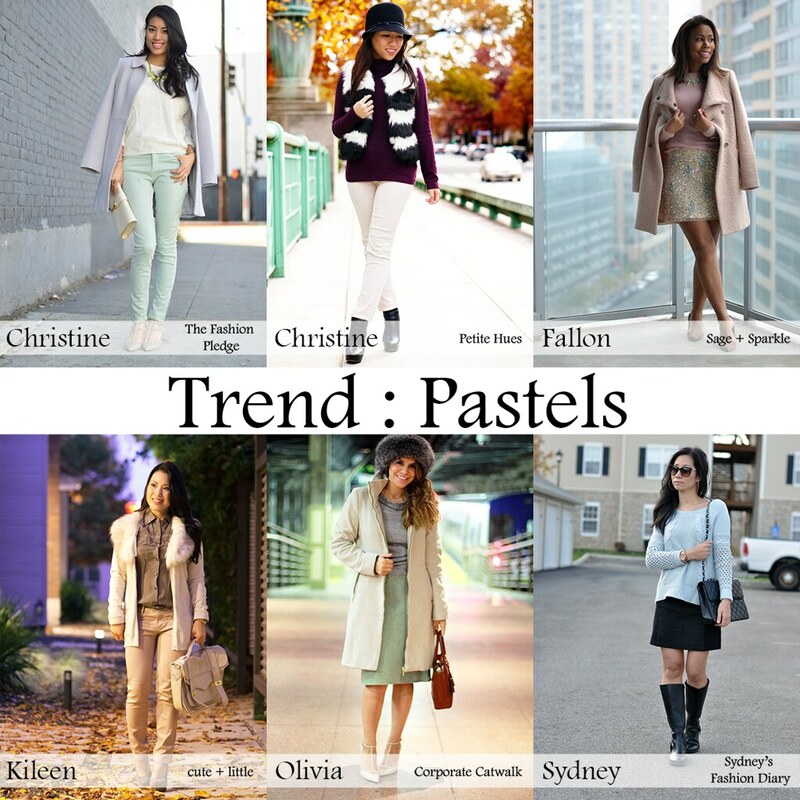 So what do you think... Will you give pastels a try this season and how will you you wear it?